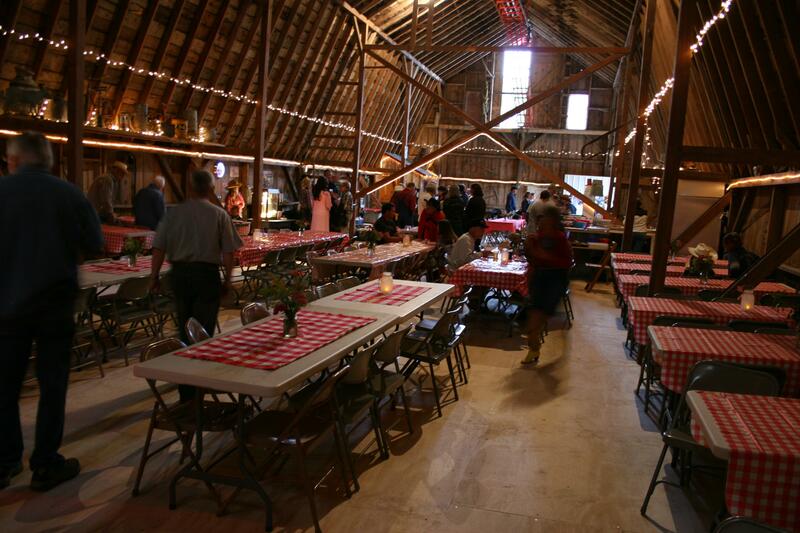 A father and son were among the hundreds of guests attending a dance in this 96-year-old barn. IN THE 1930s, at the height of The Great Depression, a young Herb Becker attended dances in the sprawling red barn along Rice County Road 1 several miles west of Dundas. Herb didn’t know it then, but in 1948 he and his wife Dorothy would buy the “Faber farm” site with the 36-foot by 100-foot barn. 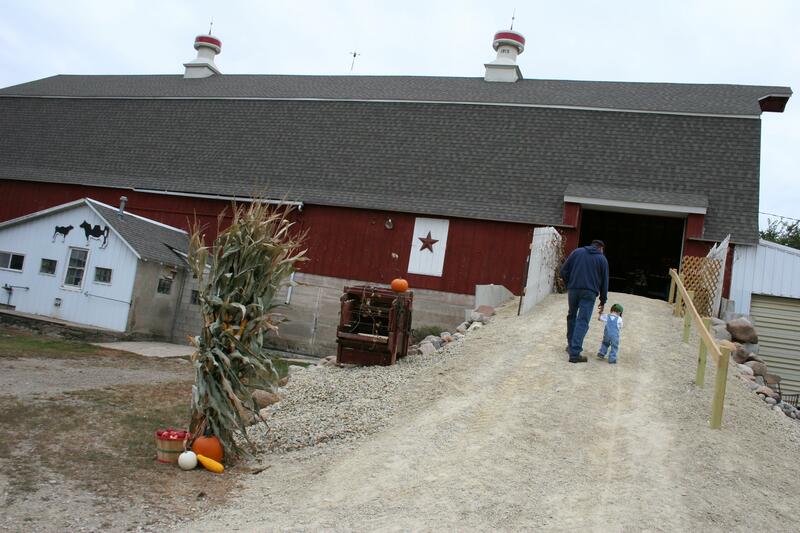 Today his youngest son John and wife Debbie own the farm, purchased in 1988. 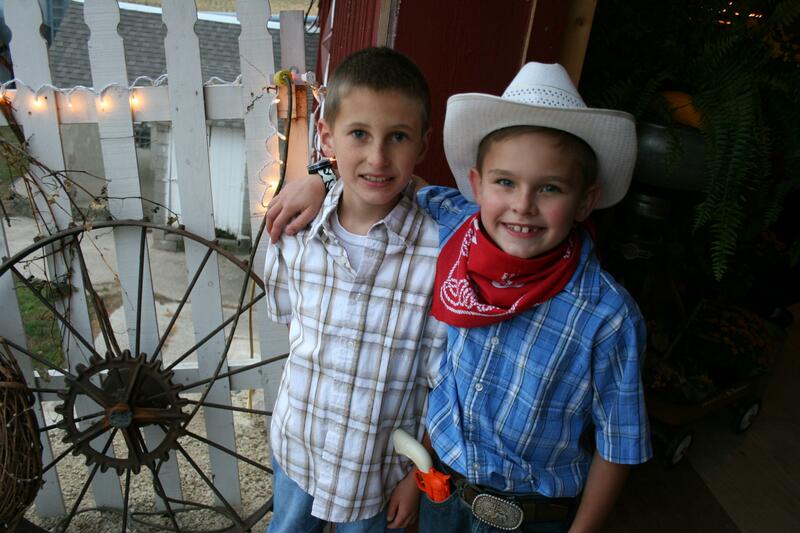 Saturday they hosted their first-ever Harvest Time Barn Dance. 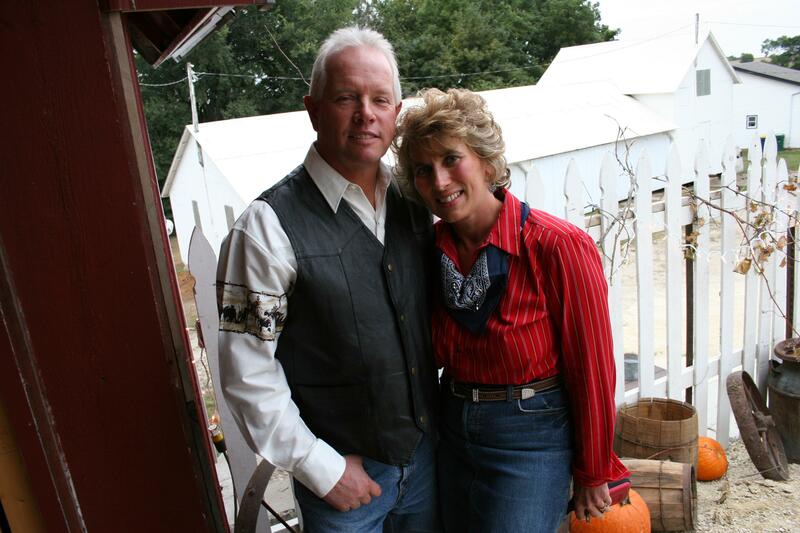 John and Debbie Becker have reshingled and done other work to their barn to keep it from deteriorating. 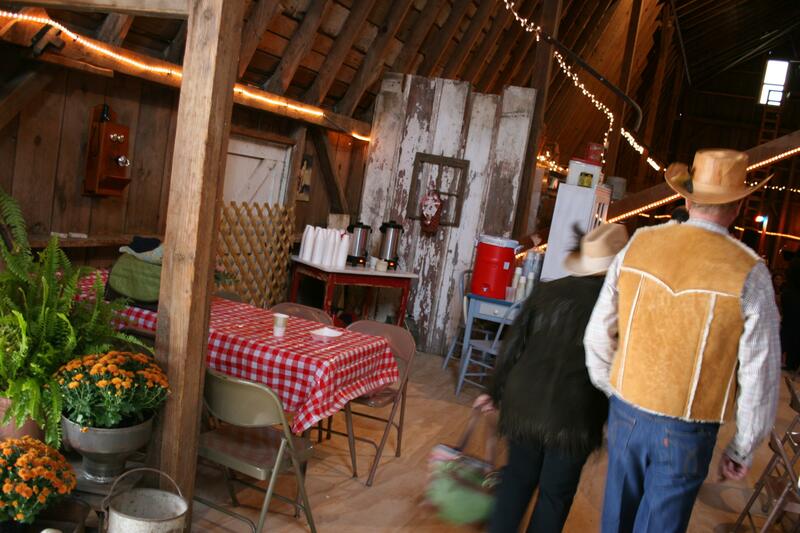 “It’s a dream come true,” John said several times through-out the event which brought the barn back full circle to his father Herb—who died in 2009—and those long-ago barn dances. 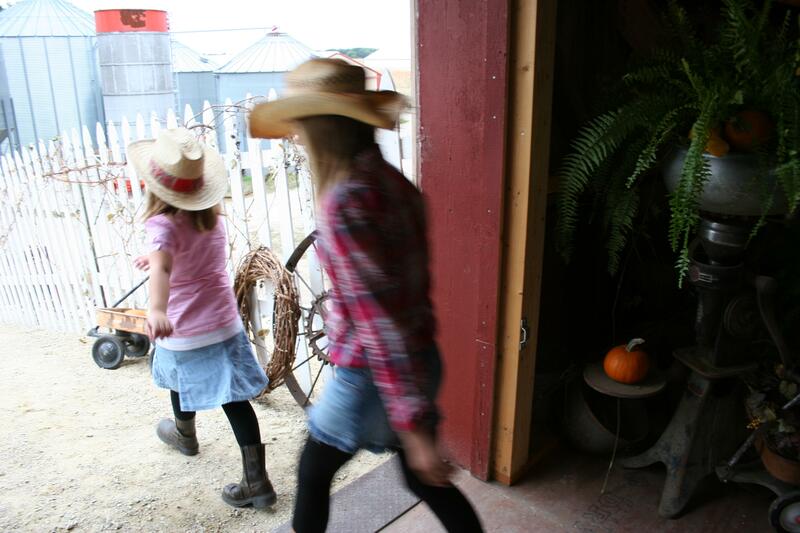 And there was plenty to smile about—from the country-style decorated barn complete with red-and-white checked tablecloths, zinnias/sedum/golden rod in fruit jars, pitchforks, bushel baskets, seed corn signage, wooden barrels, cream separator, horse harness and lots more to the kids and adults sporting cowboy hats, cowboy boots and other western attire to the welcoming, sometimes boot-stomping, music of The Revivals band. Battery-operated tea light candles and flowers in quart jars decorated tables covered with red and/or red-and-white checked cloths. This photo looks toward the west end of the hay mow. 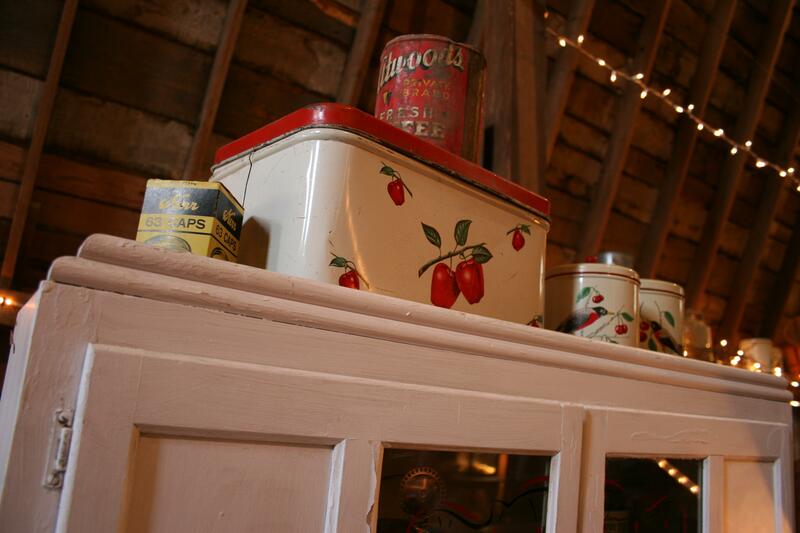 Everywhere collectibles and antiques were on display, creating a setting of simple country charm. 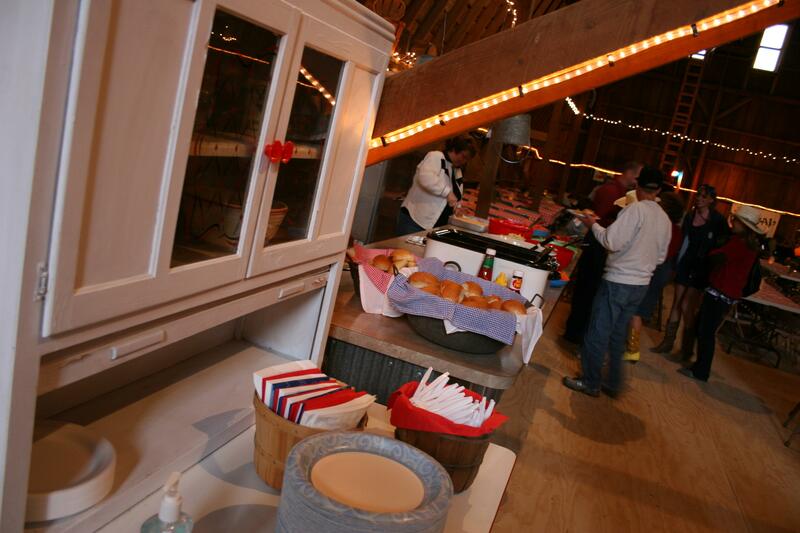 Guests indulged in tasty roast beef sandwiches, calico beans, an array of salads and bars. The Beckers created a coffee corner, where guests could grab some "De-Calf" or "Real Calf," visit, maybe even pull a deck of cards from the shelf for a game of Euchre. 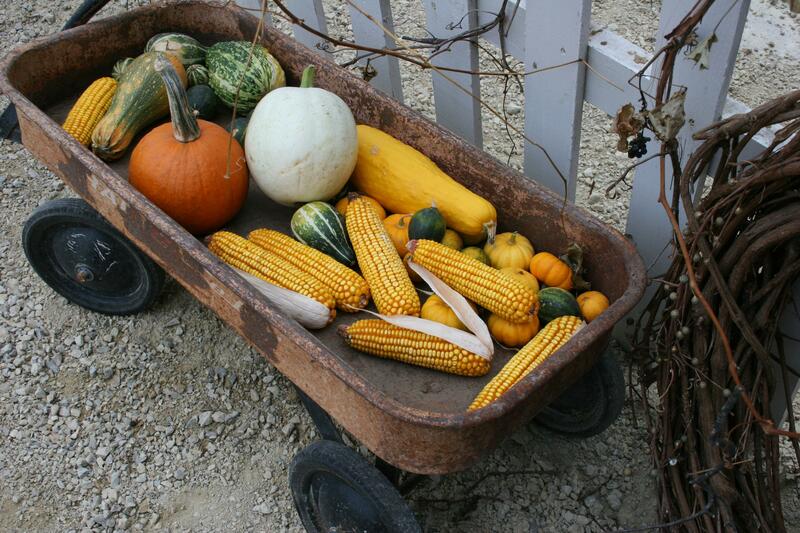 Fall and vintage decorations lined the pathway leading into the barn. It was the type of evening reminiscent of the old-fashioned gatherings of yesteryear, when adults could visit while the kids played with carefree abandon. And they did on Saturday. Tag and hide-and-seek. Pick-up football in the dusty farm yard. 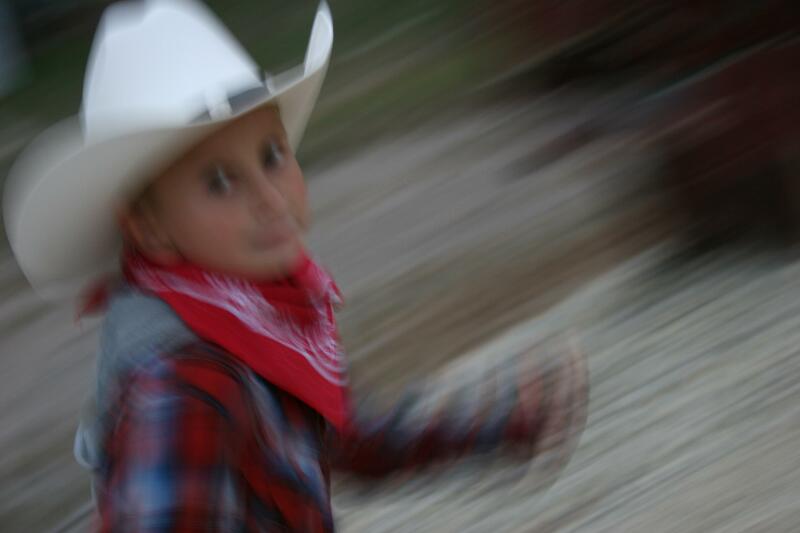 Make-believe, chasing each other with cap guns blazing. Kids ran and played and ran and played--all night. 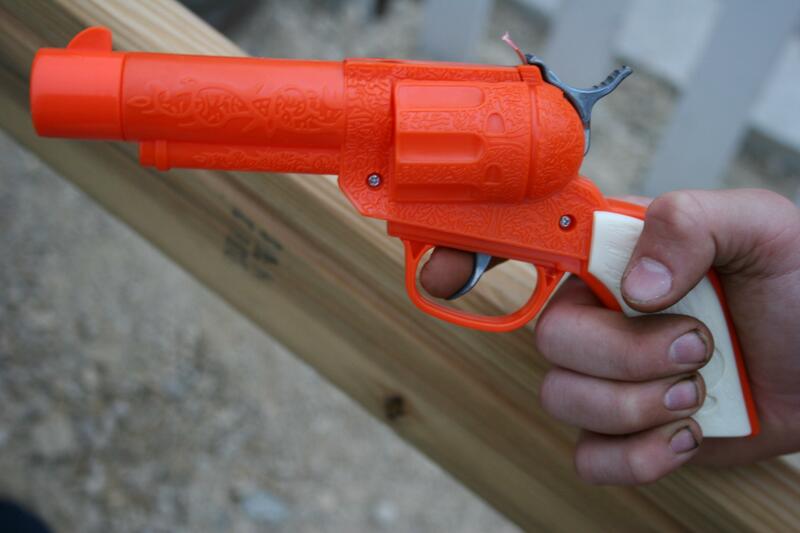 The kids, and a few adults, brought cap guns. Probably my favorite image of the evening...no words necessary to describe these happy boys. Inside, the adults admired the architectural bones of the barn, cranking necks upward toward the skeletal rafters, toward the conveyor that once carried hay bales across this dairy barn hay mow. And before that, the hay fork, on display outside the barn. 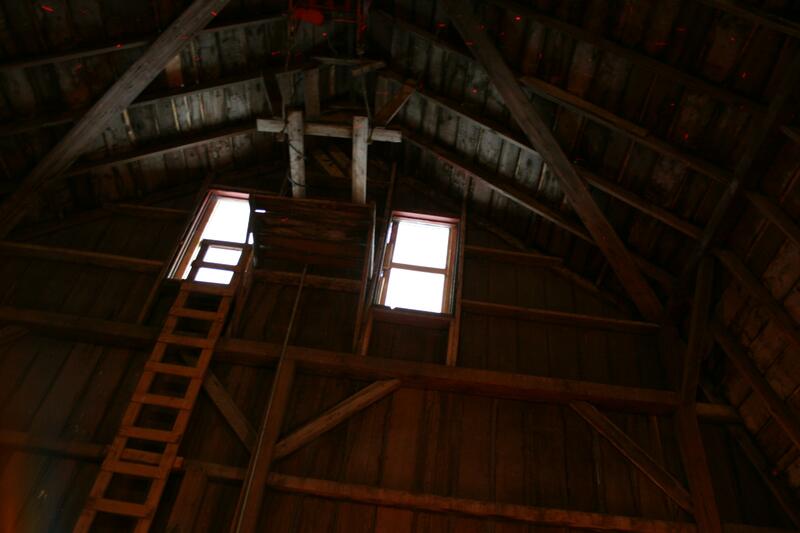 They imagined climbing the ladder on the east end of the barn, like daring trapeze artists, to a platform above. Looking toward the east end of the hay mow. The east end of the hay mow with the ladder and platform and highlighting the barn's framework. Looking toward the west end of the hay barn. 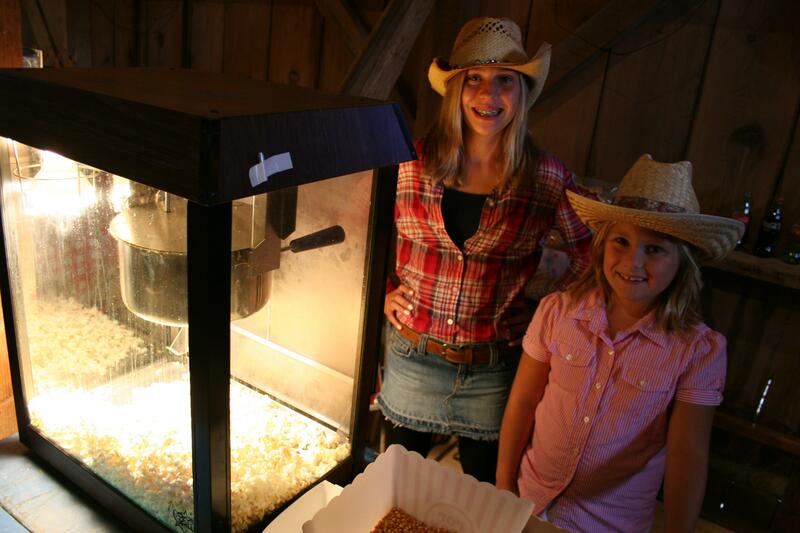 Pulling popcorn duty at the barn dance. And later, when The Revivals from New Prague rocked the rafters with music that spanned polkas and waltzes to country and 1950s-1970s hits, adults and kids alike slid their feet across the corn meal-slicked plywood covering the maple floor that was too unsalvageable for refinishing. They twirled and shook and twisted. And they danced like Herb would have wanted them to dance, celebrating life. 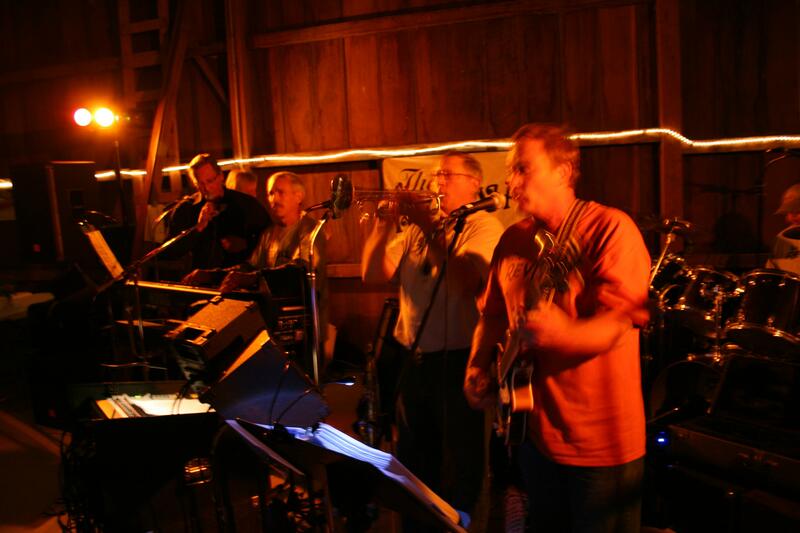 The Revivals from New Prague played a mix of music from old-time to rock. 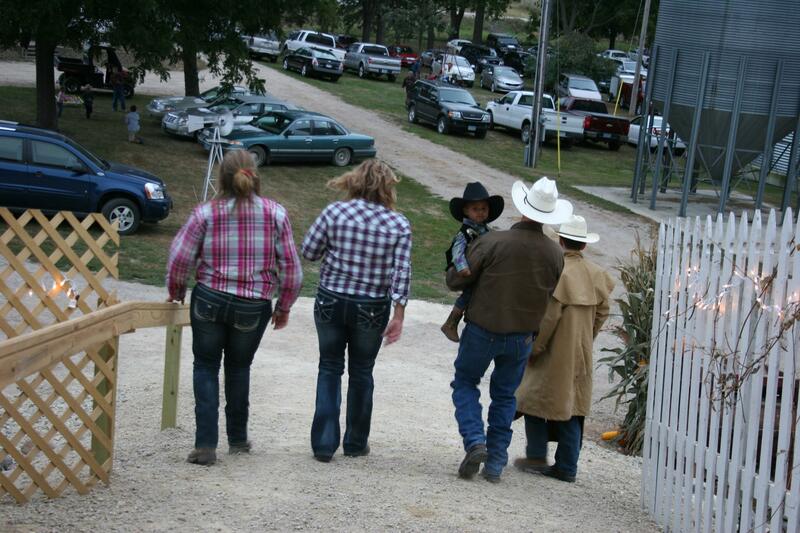 Leaving the barn dance. Vehicles packed the farm yard. 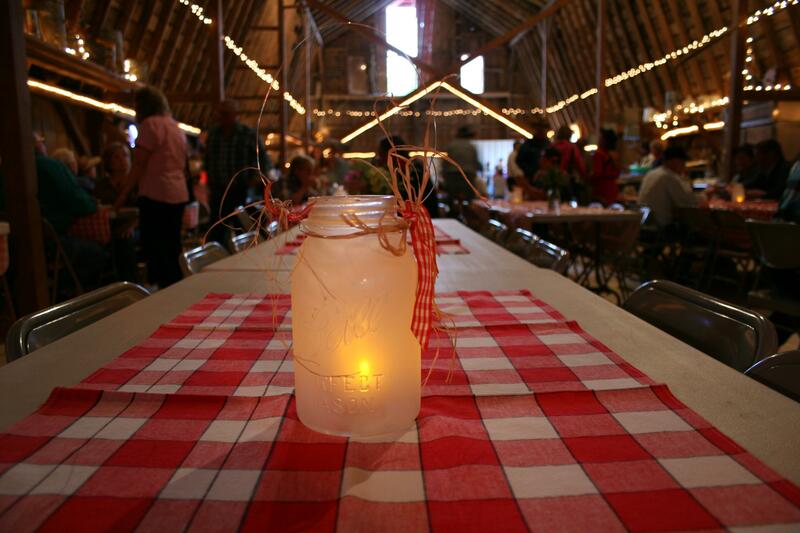 CHECK BACK FOR MORE barn dance images. I won’t have photos of the dancing; once I had my band shot, I put away the camera. 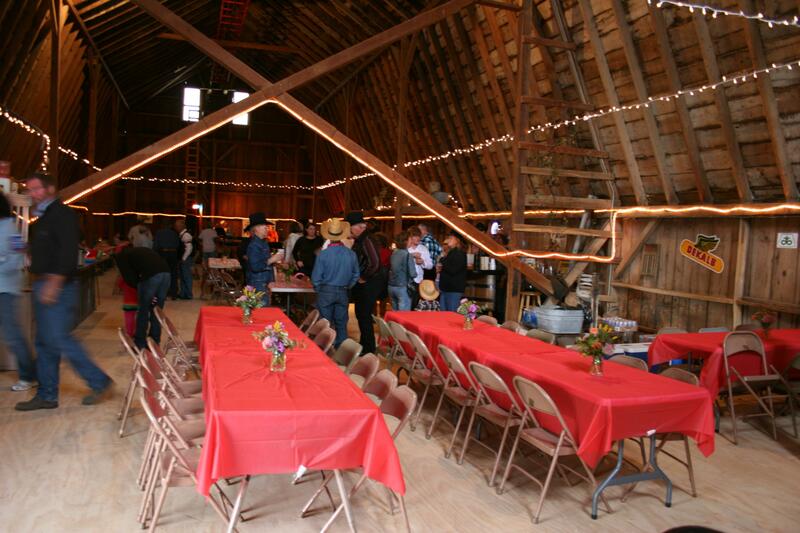 HAVE YOU EVER attended a barn dance? If you haven’t, you might want to become friends with the Beckers. I bet they’ll have plenty of requests for a repeat harvest dance next fall. Thanks, John and Debbie, for an absolutely memorable and fun evening.